Dog owners know that dogs can be trained, but the idea of training rarely crosses cat owners’ minds. But as bestselling anthrozoologist John Bradshaw and cat expert Sarah Ellis show, not only can cats be trained, but they absolutely should be to ensure a happy and healthy relationship between pet and owner. Once we comprehend cats’ emotions and needs, we can train them to overcome their natural fears and anxieties. 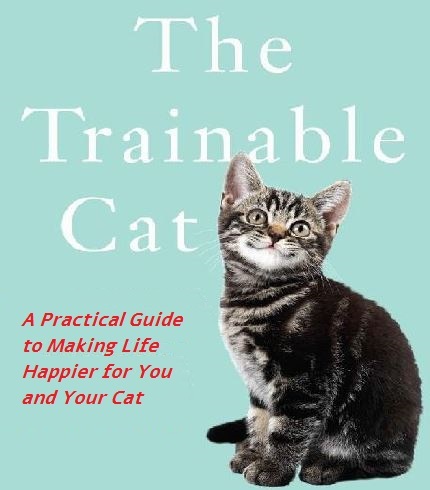 Full of training tips and exercises for nearly every scenario—from introducing your cat to a new baby to teaching cats to live alongside dogs to helping cats deal with visits to the vet—The Trainable Catis an essential manual for cat owners everywhere. Introduction: Why Train a Cat? CHAPTER 8 Touch: Insult or indulgence?